Home / BH1 Promotions / Branded Reusable Travel Mugs – The Gift That Keeps on Giving! Britons drink more than 25,000,000 takeaway coffees every day! In the UK we throw away 2,500,000,000 takeaway coffee cups a year! This equates to nearly 5,000 being thrown away every minute! Less than 1% of cups are being recycled because of polythylene coating! Disposable coffee cups are technically recyclable but the plastic lining in them makes it very costly to do so. This is because there is only 3 facilities in the UK that can split the paper and plastic for recycling. This is why reusable cups are far better for the environment rather than the “recyclable” ones. 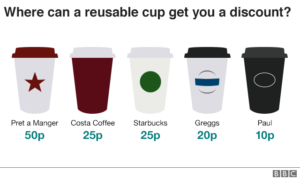 MP’s are calling for a 25p “latte levy” on disposable coffee cups and a total ban unless recycling improves. Some leading coffee shops already offer discounts for people who bring their own reusable coffee cups. Now is the perfect time to be supplying your customers and clients with eco-friendly alternatives to the disposable coffee cups. By giving a reusable coffee cup to your customers you’re also allowing them to receive money off their coffees! Every time your customer buys a coffee they will get up to 50p off and be reminded of how generous your company is! We offer a wide range of branded travel mugs that all have a large printing area and the ability to brand the mug, lid and grip colour. You also have the option of having a paper wrap around which allows for a massive area of branding or important information. 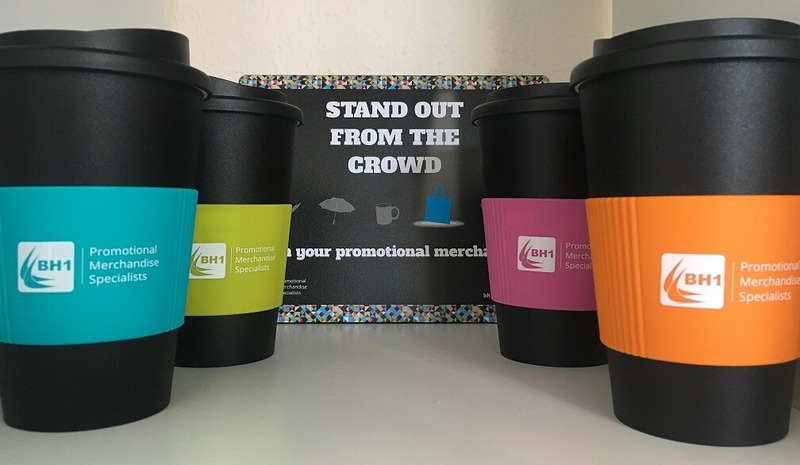 Our branded Americano mugs are one of our best selling travel mugs due to their wide range of colours and branding options, as well as the ability to print in up to six spot colours. The printed Americano mugs are dishwasher and microwave safe along with being BPA free too.